Tito Polo does not have any MLB stats for the season. Tito Luis Polo…resides in San Andrés Islas, Colombia. Sidelined by trips to the minor league DL…in 46 games with Double-A Birmingham, .245 (40x163) with 22 runs, 6 doubles, 3 triples, 1 home run and 8 RBI…hit safely in 21 of his first 32 games…appeared in 7 games on rehab assignment with AZL White Sox. In 60 games with High-A Tampa, stole 20 bases…Florida State League Mid-Season All-Star…hit .382 (21x55) in 14 games with Double-A Trenton…on July 18, acquired by the White Sox in 7-player deal. South Atlantic League Mid-Season All-Star…acquired by the Yankees on Aug. 30 as a PTBNL in an Aug. 1 deal that sent Ivan Nova (rhp) to the Pirates…assigned to High-A Tampa. April 19, 2019 Tacoma Rainiers released OF Tito Polo. March 19, 2019 OF Tito Polo assigned to Seattle Mariners. 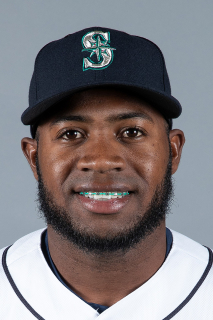 January 24, 2019 Seattle Mariners signed free agent OF Tito Polo to a minor league contract and invited him to spring training. January 24, 2019 OF Tito Polo assigned to Tacoma Rainiers. November 25, 2018 Aguilas del Zulia released CF Tito Polo. November 2, 2018 CF Tito Polo elected free agency. October 7, 2018 CF Tito Polo assigned to Aguilas del Zulia. September 17, 2018 Birmingham Barons activated CF Tito Polo from the 7-day disabled list. August 8, 2018 Birmingham Barons sent CF Tito Polo on a rehab assignment to AZL White Sox. June 7, 2018 Birmingham Barons placed CF Tito Polo on the 7-day disabled list. May 18, 2018 Birmingham Barons activated CF Tito Polo from the 7-day disabled list. May 12, 2018 Birmingham Barons placed CF Tito Polo on the 7-day disabled list retroactive to May 11, 2018. March 1, 2018 CF Tito Polo assigned to Chicago White Sox. September 6, 2017 Birmingham Barons activated CF Tito Polo from the 7-day disabled list. August 28, 2017 Birmingham Barons placed CF Tito Polo on the 7-day disabled list retroactive to August 26, 2017. August 11, 2017 Birmingham Barons activated OF Tito Polo from the 7-day disabled list. August 6, 2017 Birmingham Barons placed OF Tito Polo on the 7-day disabled list retroactive to July 29, 2017. July 21, 2017 OF Tito Polo assigned to Birmingham Barons. July 1, 2017 CF Tito Polo assigned to Trenton Thunder from Tampa Yankees. April 26, 2017 Tampa Yankees activated CF Tito Polo from the 7-day disabled list. April 15, 2017 Tampa Yankees placed CF Tito Polo on the 7-day disabled list. April 6, 2017 CF Tito Polo assigned to Tampa Yankees. February 28, 2017 OF Tito Polo assigned to New York Yankees. November 16, 2016 Venados de Mazatlan placed OF Tito Polo on the reserve list. October 16, 2016 OF Tito Polo assigned to Venados de Mazatlan. September 2, 2016 OF Tito Polo assigned to Tampa Yankees. August 30, 2016 Pittsburgh Pirates traded OF Tito Polo and LHP Stephen Tarpley to New York Yankees. June 23, 2016 CF Tito Polo assigned to Bradenton Marauders from West Virginia Power. March 25, 2016 OF Tito Polo assigned to Pittsburgh Pirates. July 20, 2015 West Virginia Power activated RF Tito Polo from the temporarily inactive list. July 7, 2015 West Virginia Power placed RF Tito Polo on the temporarily inactive list. April 9, 2015 RF Tito Polo assigned to West Virginia Power from GCL Pirates. March 20, 2015 RF Tito Polo assigned to Pittsburgh Pirates. June 20, 2014 RF Tito Polo assigned to GCL Pirates. March 20, 2014 OF Tito Polo assigned to Pittsburgh Pirates. June 14, 2012 OF Tito Polo assigned to DSL Pirates1. June 4, 2012 OF Tito Polo assigned to DSL Pirates2 from DSL Pirates1. June 2, 2012 Tito Polo assigned to DSL Pirates1. March 15, 2012 Pittsburgh Pirates signed free agent OF Tito Polo to a minor league contract.